With just two weeks to go until our thirteenth Annual Awards Dinner, many of the plans are underway, whilst most are complete. We are proud to be celebrating the best of Moray’s business talent with two awards. Firstly our export award, sponsored by Walkers Shortbread, is awarded to a company who has had a strong track record of exporting over the last year. There has been some excellent winners in the passed who are continuing to go from strength to strength, which is fantastic to see – especially under the ever increasing business strains. The second award of the night, and the most prestigious, is our Main Business Award. This award is sponsored by Business Gateway and The Moray Council. This is awarded to a business who has made a significant contribution to the local economy, such as employment or inward investment. This year the event will be held at the Alexander Graham Bell Centre, Moray College UHI, Elgin and the compère will be Mr Mervyn Stanley. Mervyn is Managing Director of Cameron Carnegie a consultancy business based here in Elgin but has clients all over the UK. He has worked with some great businesses in Moray whether it be on a one of project or an ongoing piece of work. 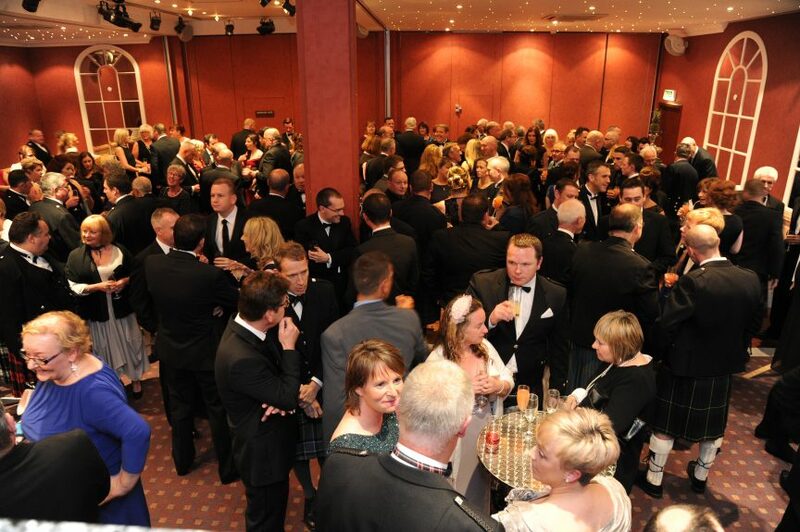 The 270 business guests in attendance will enjoy a 3 course dinner, prepared and served by 1629, Lossiemouth which will include locally sourced ingredients. After dinner we will hear from Kathryn Evans, CEO of Moray Sports Centre. An ex-international heptathlete who has recently relocated to Lossiemouth to take on the enormous project of the sports centre. We are looking forward to listening to Kathryn and the stories she has from the sports world – especially with the Olympics on at the moment, we are all experts aren’t we? The evening also raises funds for a charity, which is chosen by the Moray Chamber Board from it’s charity members. This year North East Sensory Services (NESS) is the beneficiary. Funds are raised through raffle prizes which are generously donated by Chamber members and other businesses in Scotland. Our auction is always a big success with some ‘money can’t buy’ prizes and unique experiences for both corporate and personal use. The funds raised from the auction go towards the cost of running Moray Chamber for the following year as the Chamber needs to be self sustaining. The evening will draw to a close with networking with business colleagues old and new. The Monday after is always interesting, closing down the ‘Annual Dinner 2016’ file and starting a new one ready for 2017. We’d like to thank our main sponsors of the event Robertson, Johnstons of Elgin, Springfield, Walkers, The Moray Council, Business Gateway, Ritsons and Forsyths. We would also like to thank everyone who has contributed to the raffle, the auction, the goody bags or a form of sponsorship in some other way. We are very grateful for your kind and generous donations. Finally to all our guests for coming and making the evening enjoyable, without the members and their support, there would be no Chamber of Commerce.